The son of a geologist, Timo Laine moved from Finland to California when he was only 6 so his father could work in the Mojave Desert, and also due to a perpetual fear of the Soviet Union at the time. He worked his way around the circuit for nearly a decade while moonlighting as a guitar teacher. After doing some demos with LA-based Zebra, he joined Space Rangers, the bulk of whose sole album on Mercury in 1973 was Zebra's tapes with Neil Merryweather's new lyrics. But when members went their separate ways shortly after its release, Laine wanted to experiment with the larger than life operatic rock sound he had in his head - one that incorporated his influences, everyone from Wes Montgomery to Clapton, Beck, and Zappa to classical master Andres Segovia. He bought a prototype gadget that inventor Bob Easton gladly sold him for $10,000, which in essence hooked up six individual synthesizers to his guitar, one for each string. The whole idea of what could be done with a guitar and synthesizer was just taking off, and Laine politely declined deals to sell his rig to Frank Zappa, Stevie Wonder, and Jimmy Page. He then recorded some demos with Epic Records in San Francisco, but when the producer was fired midway through production, Laine then decided a new locale might be the answer. He moved to Toronto in 1973 where he worked the local scene for a couple of years. A chance airplay of one of the 'Frisco demos on CHUM led to a deal with A&M, and he assembled Symphonic Slam with David Stone on keyboards and drummer John Lowery. Although the record took nine months to rehearse and record with George Semkiw, the '76 self-titled debut was instantly heralded by the critics for fusing elements of progressive rock and jazz with more psychadelic tones. Their only single "I Won't Cry" caught some good response from local radio, and other tracks like the lead off "Universe," "Let It Grow," and the edgey "Modane Train" about a 1917 derailed train in France that killed 543 people made the album a hit in pockets throughout Canada, in the US, and in Europe. Their onstage presence, costumes and props were reminiscent of the likes of early Genesis and Bowie. A year of dates with the likes of FM, King Crimson, and Gentle Giant throughout the UK and North America was highlighted by them doing a solo show at Toronto's Massey Hall. But by mid '77, Stone accepted an invitation to join Ritchie Blackmore's new group, Rainbow, shortly after Laine relocated to Hollywood and began writing material for a follow-up album. But when label execs wanted him to do a disco album, he bailed out and formed his own Lady Records. Replacing Stone on keys and tabla with Linda Nardini and adding Jimmy Haslip on bass, recording began at The Righteous Brothers' and A&M's studios. But halfway through the sessions Lowery left, and Haslip followed soon after to form Yellow Jackets, making way for newcomers drummer Jan Uvena and Noe Cruz on bass. Under the new monikor of 'Timo,' the album SS II was in the stores by the spring of '78. Following in its predecessor's path, trippy bombastic arrangements and intricate melodies were the backbone of tracks like "The Night's About To Come," "Cyclops," and the self-reflective "Keep Freedom In Your Heart." But after only 10,000 copies were printed, there was no more money. No money, no distribution. Laine dissolved the group in the early '80s to focus on other projects, working with several artists over the next couple of decades, including musically like-minded John Mills-Cockell (formerly of Syrinx), The Rolling Stones, Rush, BB King, Tina Turner, and Chuck Berry, to name just a few. He also popped up on the club scene and world music festivals over the years. Outside of music, he was also spending time in the sun abroad, became an established painter specializing in nature and wildlife and more surreal subject matters, and joined the Museum of Natural History at one time. Following in his father's scientific footsteps, Laine also took up his childhood hobby of entomology (bugs) fulltime and became a respected speaker on the subject. French label Musea Records acquired the rights to reissue the first album in 2002, although no bonus material was included. Three years later, he released his first real solo album, THE MONOTRIM PROJECT, basically a collection of ideas he'd scribbled down over the years after hearing the next wave of players, like Eric Johnson, Satriani and Vai. That same year he was approached to record a new Symphonic Slam album. 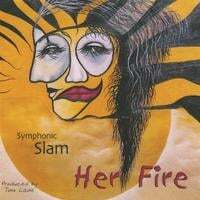 Originally intended to be called CAVE CANEM (Latin for 'beware of dog'), the result was HEY FIRE, reuniting Laine with long time bassist Noe Cruz, along with vocalist Les Carlsen (former lead man for the musical "Hair" and the band Bloodgood), and drummer Bob Winn. Again praised by critics both musically talented themselves and not, it featured tracks like the hard-hitting "Mona Mae," the tender "Dream Love," and "Guitar Man." His artistic talents also came in handy when he designed the album jacket. 2008's solo album called GUITAR WORKS SPECIAL EDITION was again heralded by the critics for its overall larger than life production. Musea Records re-issued SS II with four bonus tracks in early 2011, and a new album is in the works, based on spriritual themes, a context he'd worked into several songs previously.